Whether you’re a kid, teenager, adult, or just young at heart, there is always something new to learn. 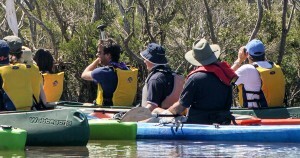 The Gippsland Lakes offers a huge variety of opportunities to explore natural areas and to put your knowledge to the test. 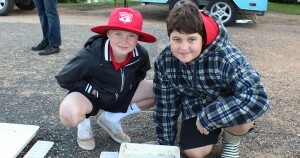 Our learning portal can provide you with the tools to get out and explore the lakes with inquiry and enthusiasm. Just pick your preferred page and let’s start the journey. This Gippsland Lakes Priorities Plan has been developed to highlight key priorities for improving the health of the Gippsland Lakes. This plan is used to help identify where funding should be allocated to help maintain or improve the health of the Gippsland Lakes. Learn about the geological history of the region, traditional occupation by the Gunaikurnai (First Peoples) and the impact that European colonisation has had on the Gippsland Lakes. Consider yourself a budding scientist? Then check out the Victorian Biodiversity Atlas. It’s an example of ‘citizen science’ at work, where members of the public can enter species observations and records that then contribute to the state’s knowledge of our biodiversity and threats such as weeds and pest animals. The kids zone provides fun activities that are just for kids. This includes a range of colouring-in sheets using some of our Lakes characters. There are a variety of scientific reports that have been prepared over time about aspects of the Gippsland Lakes. If you’re studying or doing a research assignment, then check out some of these resources to help you learn more about the Gippsland Lakes and the science that helps guide their management. Since 2013, we have been creating short videos to document the fantastic array of work that has been achieved by our community in looking after the health of the Gippsland Lakes. This page provides a catalogue of all those videos. Sit back, learn something new and be in awe at all the great work.